Gatewood Elementary is becoming known as an environmental school in the west suburbs of Minneapolis. 4th grade teachers, Jeremy Hahn and Amanda Van Wye have incorporated environmental studies into their regular science curriculum. 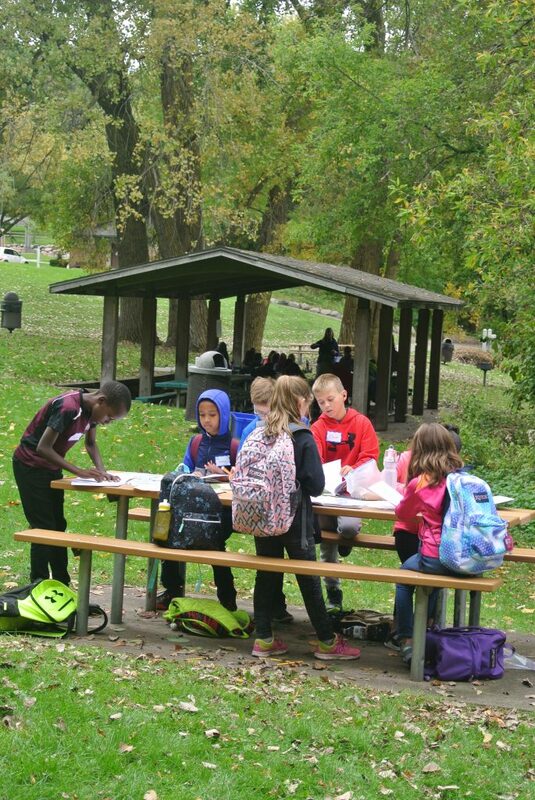 For many years, they have brought their students to Lone Lake Park for a fall environmental camp. 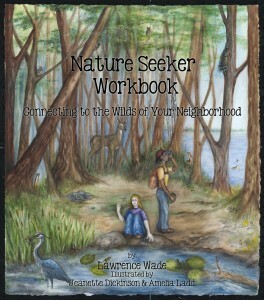 This is an all day outdoor learning event. 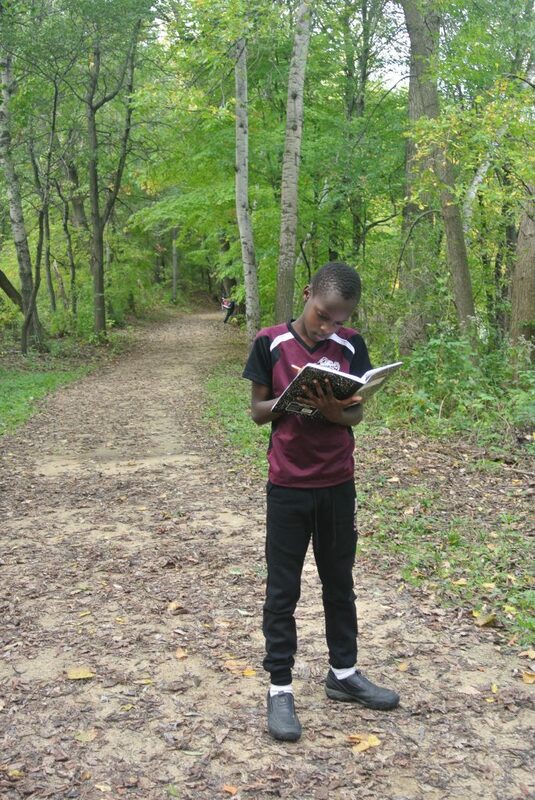 On the nature hike, Mr. Hahn gave the students some “solo” time in the woods. They took notes, and or wrote poetry. Singing songs of joy that he hears. such as rose red stand right there. After that, “Bye” I say to the calm and cold Fall air. Mrs Van Wye taught the macro and micro invertebrate class, using pond water from the lake. 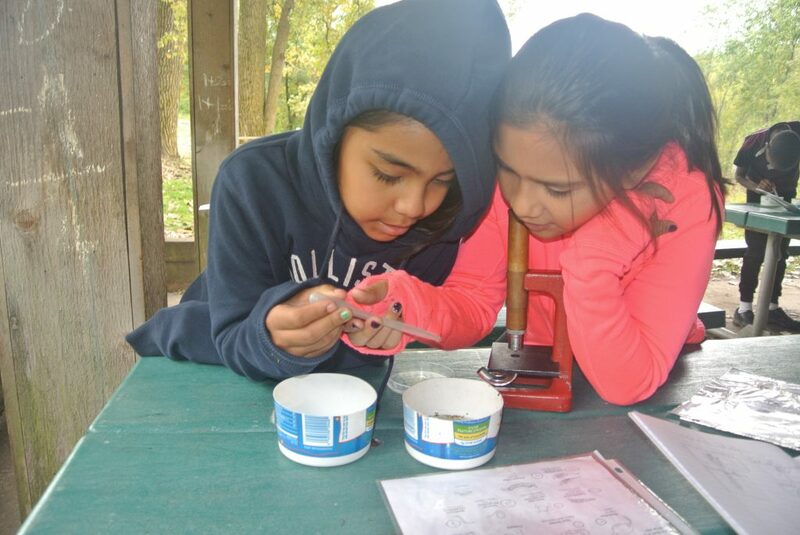 For the micro invertebrates, students used 30x microscopes. 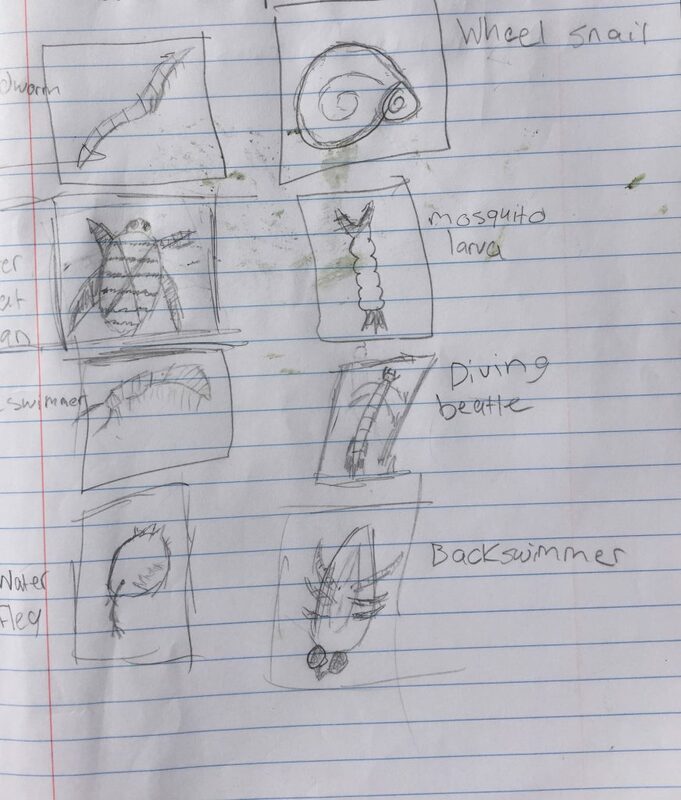 Students had to identify, draw and describe the behavior of the aquatic creatures. 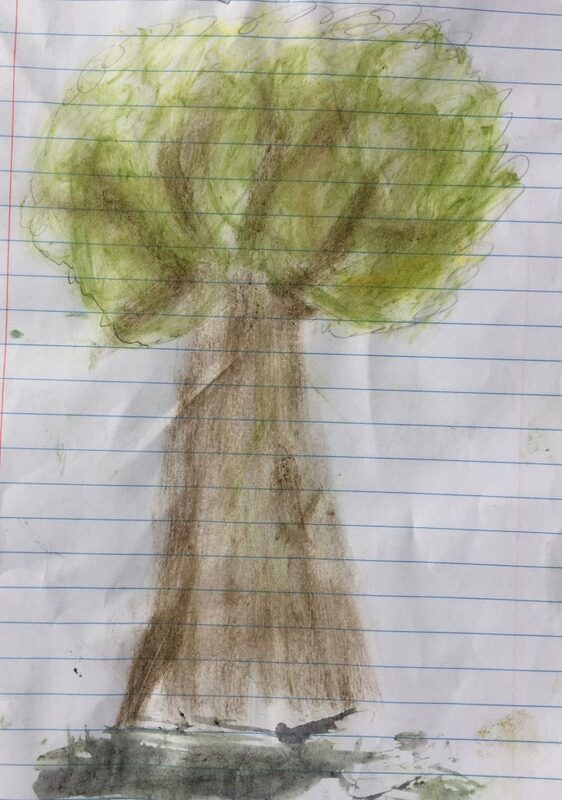 Tree identification was the 3rd class that was taught. 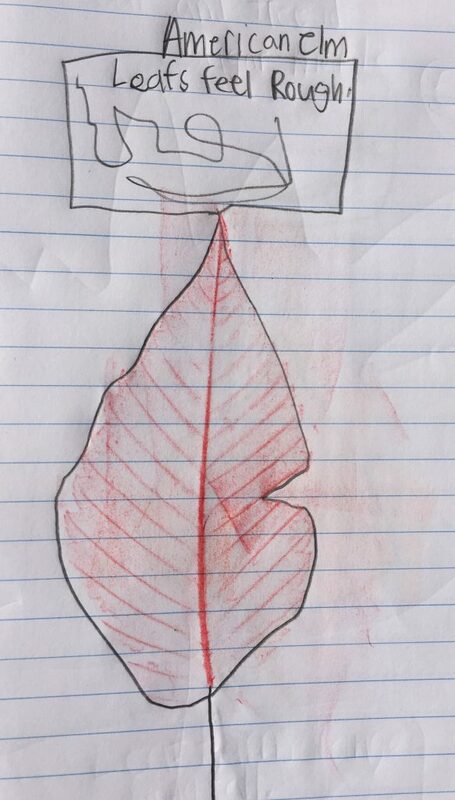 Students had to make leaf rubbings from leaves collected from trees in the park, identify them and write a note about them. The art work below was created by using plant pigments, dirt and Buckthorn berries. Every Friday, Mr. Hahn and Mrs Van Wye take their students out for environmental studies. Below is some of their work that was completed during the peak of fall color. 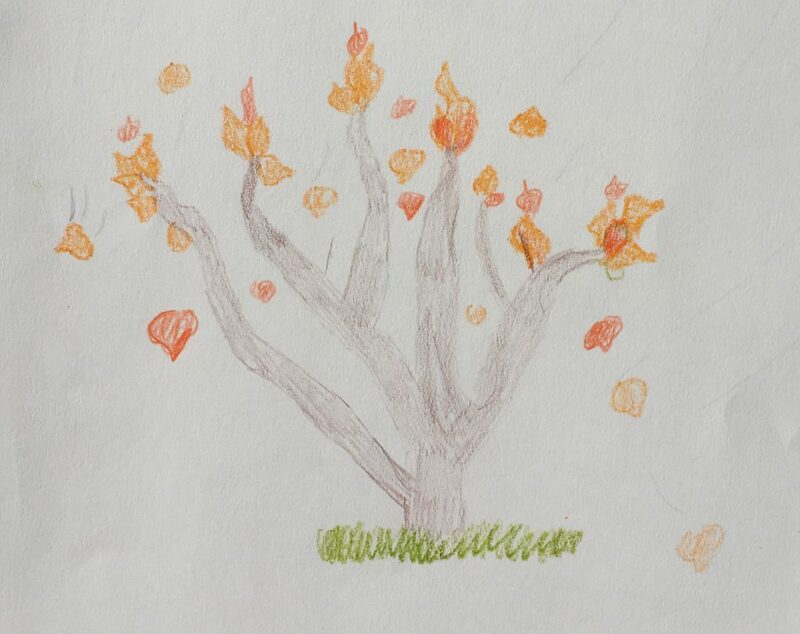 This entry was posted in Connecting to Nature, Fall, Nature Poetry. Bookmark the permalink. 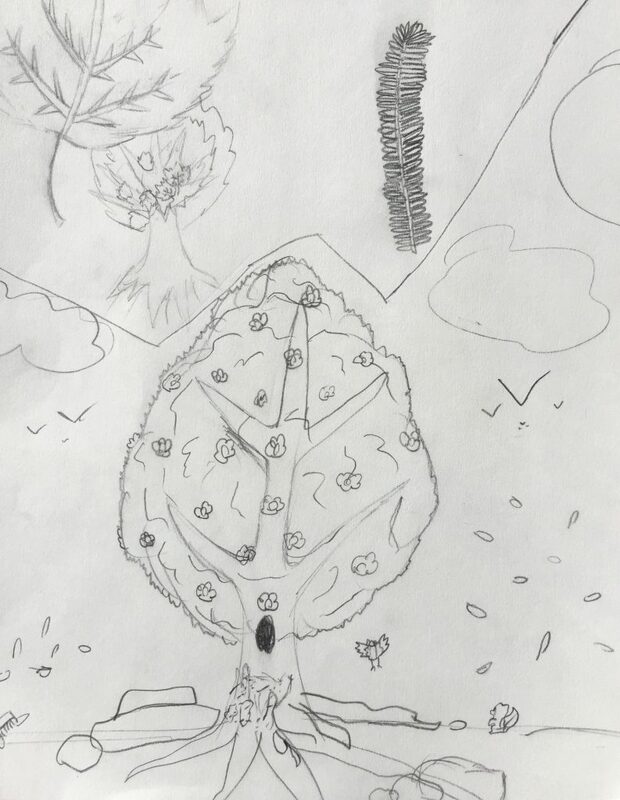 Wonderful student works and photos. Thank you and all the students for their creativity.